Check out the interview. It was recorded in a very nice auditorium. Every now and then a “visitor” will be running through the picture, unaware of the fact that we were recording. I met Jenny back in 2011 when I spoke at the PHP North West Conference in Manchester. She and her partner Andy were in charge of the airport run, picking speakers up and dropping them back off after the event. As a speaker it’s such a good experience when someone from the organization picks you up at the airport. It reduces the stress and is a so much more relaxing experience. We talk about this in the interview and Jenny mentions some of the cool tricks she applied to optimize those pickups. I also had to mention that Jenny driving us back to the airport, was the wildest ride I ever had. Still amazed we didn’t crash! Jenny Wong started out as an intern at Magma Digital, the company that organizes PHP North West. She was working in a PHP environment, but she started using WordPress to build the conference website. After that friends asked her to build their website in WordPress and that’s how it all started. Jenny also got involved with the local Manchester WordPress meetup group. Did you know that WordPress co-founder Mike Little is actually from Manchester. At one point, Mike asked Jenny to speak at a WordCamp and before she knew it, Jenny was an established WordPress community member and speaker. But Jenny hasn’t forgotten about PHP. WordPress is written in PHP and we see the PHP community interacting more with other communities like the WordPress, Joomla, Drupal and Magento these days. Jenny hopes that this cross-pollination will produce better developers. It actually means “Human Made Goes” and it’s a hash tag that Jenny and her colleagues started using when they went to WordPress events. 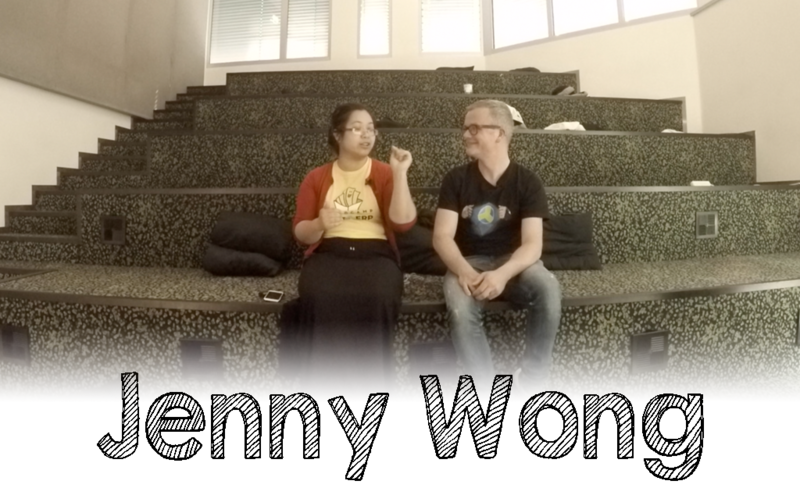 In the interview Jenny talks about a crazy road trip she did with some colleagues, traveling from WordPress event to WordPress event. From Sofia (Bulgaria) all the way to Seville (Spain). Jenny and her colleagues still use this hash tag when they travel to events. So no, it has nothing to do with royalty.